This story was supposed to be something entirely different. I had already written it in my mind and it was to be about how on the last day of 2011 I went out to a new, uncharted hunting spot and capped off the year with glorious success. Instead, it was almost the story about how I got skunked and skunked badly. 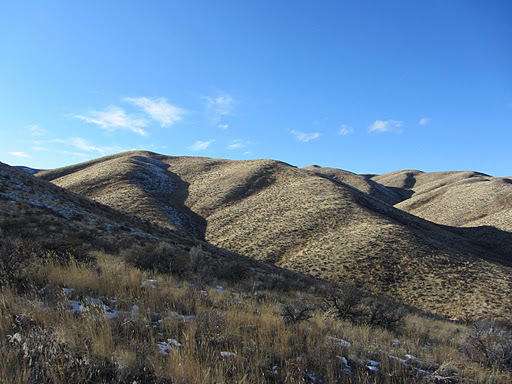 I decided to wring out one last day from my 2011 Idaho licence by trying a spot I had never hunted. I learned of the area through a chance meeting with an old farmer who told me, “There used to be a covey of Huns up there years ago.”. 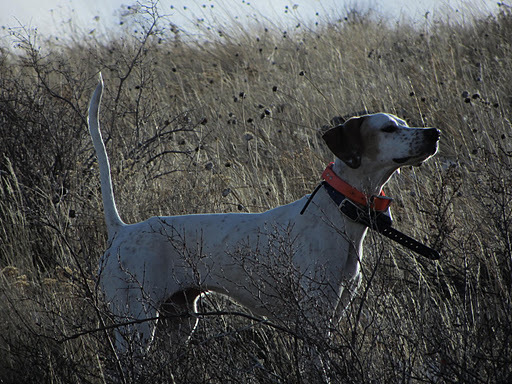 I figured one covey to an old farmer must mean a banner day to an avid bird hunter with a couple of good bird dogs and why not when we had been having good success not too many miles away? So the pups and I set out with high expectations. The day was warm and clear but a stiff wind was blowing and for some reason I don’t have good luck in the wind. 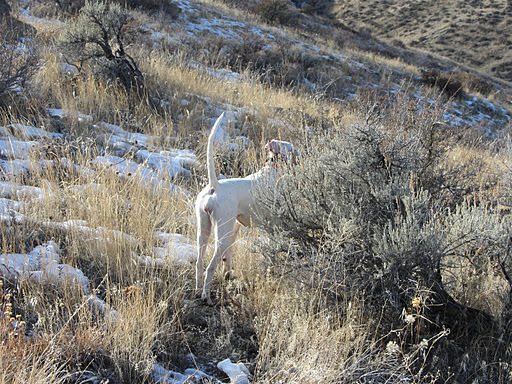 My bad luck held true as the next few hours turned into painful frustration as the only birds we saw were a few Sharp-tailed Grouse that the dogs either never found or handled poorly and the season for them had long since expired. It was one of those days where even the franchise player has a bad game and you lose to the worst team in the league. We had reached that point in the hunt where the dogs and I were all tired and the frequent stops by the dogs were not likely to be a point. 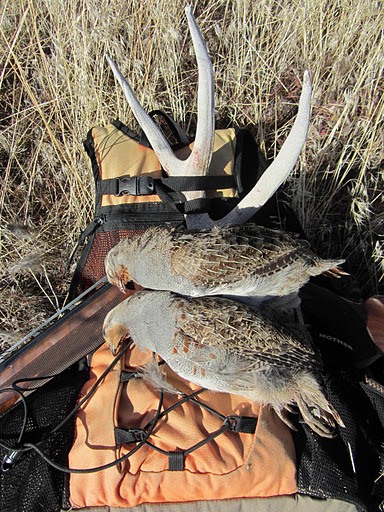 It was the long march of shame back to the truck and a poor end to a good year of hunting. I was pondering the lack of partridge in this otherwise good looking cover when the Garmin beeped telling me a dog had stopped. I didn’t think much of it since this had happened 100 times on the way down the hill and the dog was always moving before I could investigate but this time the dog held so I followed the first rule of dog ownership and went to have a look. Hmmmm….Looks promising but probably yet another non-legal sharpie so I took my time and waited for the young pup to come in and get some experience. She backed her big sis nicely. Those sharpies do make for good training, I thought. I walked out in front but nothing moved so Lily relocated. Imagine my surprise when a large covey of Huns jumped out of the sage with lightning speed! Even more surprising was the fact that I was able to compose myself enough to put down the camera, pull up the gun and drop a clean double! The topper was that each dog found a bird of their own and retrieved it. It’s amazing what a difference one good find will make. So in the last hour of the last day of the year, all was well with the world again. never ever give up.. unless you run out of redbull and cigs.. then its cool to go home.. Im glad your season ended on a good note.. 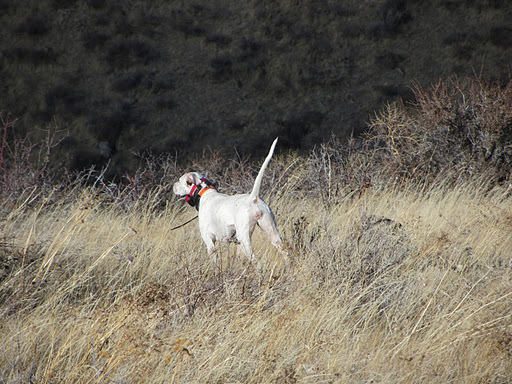 It's amazing what one good find, a good shot or two, and a retrieve by your fury partner does for your spirits. And a double on Huns, to boot. I'd say that's a good day in anybody's book! Good job, Ryan! Nice job fur kids! Well written Ryan. I enjoyed than immensely Ryan. I hope to double on Huns someday as well.